It works perfectly. No issues at all, you can disconnect and connect it back easily and smoothly. 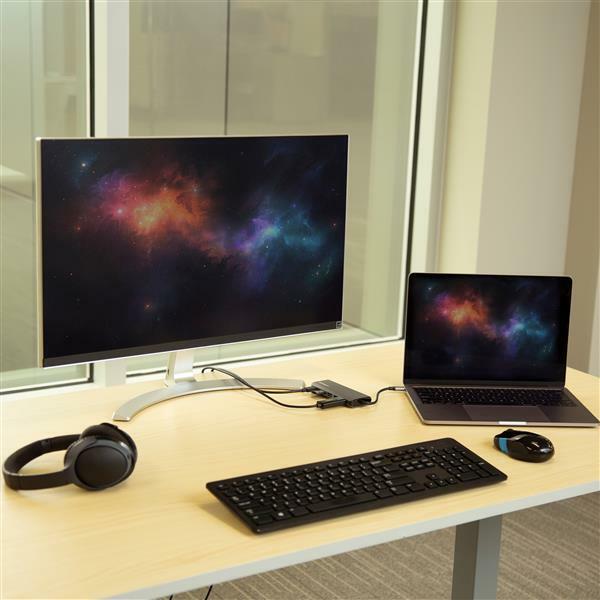 (5 stars) USB-C docking station for the road warrior! 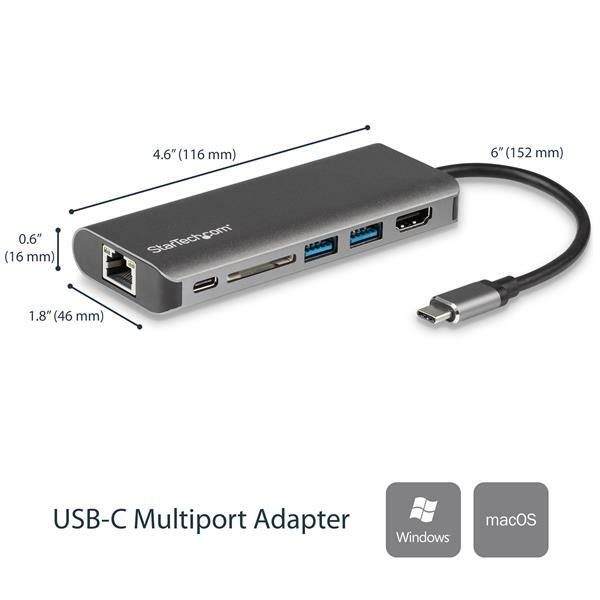 USB-C multiport adapter with HDMI, RJ-45, two (2) usb Type-A and one SD slot which I use when I a on the road or at customer sites. By just using one port on my laptop I have a fully functional workspace which makes me more productive. The USB-C multiport adapter is built very well and can take a few knocks when it is in my backpack. I received this product in exchange for an unbiased review. This product is by my side daily as I'm using it as a lightweight portable docking station. It has all the ports you'd need for on the go. It also has a very quality feel as the casing is made out of metal rather than plastic. All the ports work great. 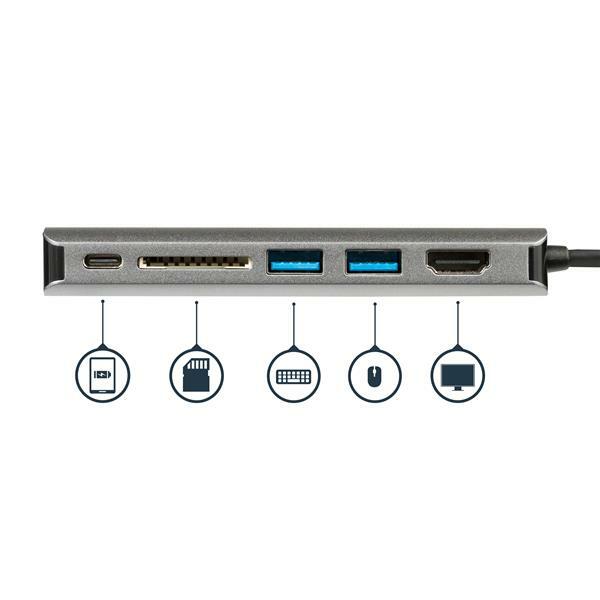 The HDMI port drives my 4k monitor, the gig-e port allows me to stay on the wired rather than wireless network when I move around or am in meetings. Best of all is the dual USB ports that let me copy files between usb keys. Will definitely be picking up more of these in the future for the team. I received this product in exchange for an unbiased review. I have been using this USB-C dock with several Windows computers and Android phones without any issues. 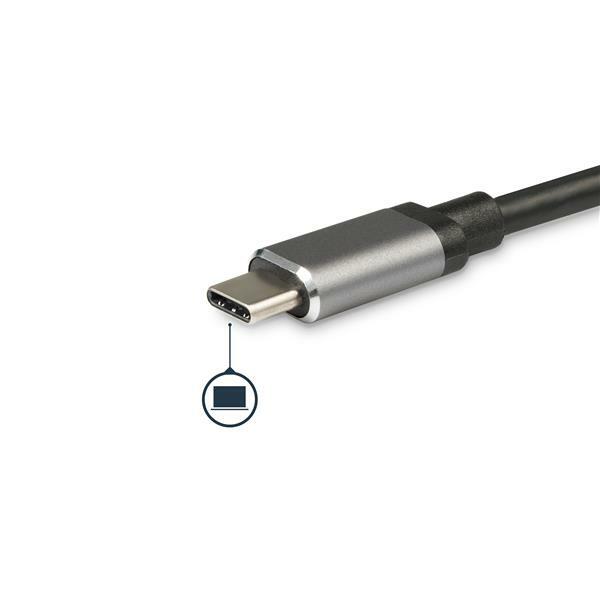 Like most USB-C devices it starts working almost immediately when connected. The dock does not require Thunderbolt for all this to work. The dock comes in a box roughly the size of two DVD cases. It comes with an instruction book, but it really isn't necessary as the dock has been plug and play on everything I have used it on. The dock itself fits in my hand and is easy to transport with me. It has Network, SD, USB-3 and HDMI ports on it. It also has a USB-C port so you can charge the attached device. The dock is made with nice metal feeling case, very premium looking. The dock starts working right away when connected. 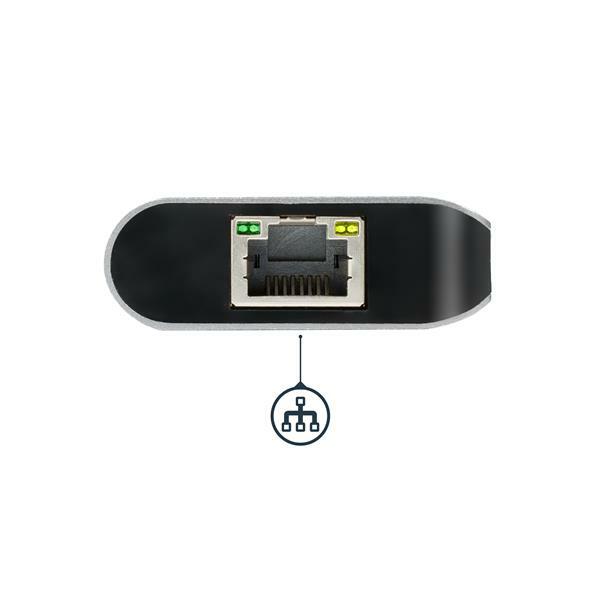 I can use it to connect to a wired network cable, mice, keyboards and USB drives. The SD port works with the larger SDHC cards and is very fast to transfer files. The HDMI port works very quickly as well with no lag and detecting screens very fast. This dock is a very nice size and super quality materials. This will likely be the a standard dock I travel with from now on. I received this product in exchange for an unbiased review. Startech got it right on this adapter. This compact stylish adapter packs a punch by offering so many options. 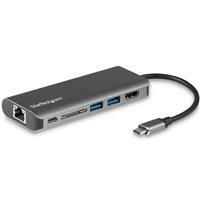 4K Video, Gig Ethernet, USB 3.0 ports, SD Card Reader, all on a powered charging device. (5 stars) Nice build quality, Easy to use! 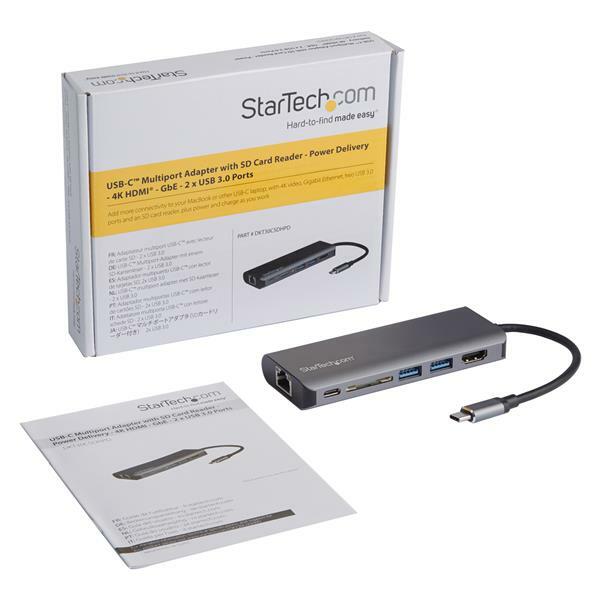 This is a good usb-c adapter for those wanting HDMI video output, expansion of usb, ethernet or SD card. I found this was very simple to use plug in and visit the website to get the drivers, install the appropriate driver and it works. I found the video to work well with a 1080p monitor. This is a good size and the build quality appears to be extremely good. Overall this is a great little unit and provides most of the connections that people would need. "I received this product in exchange for an unbiased review"